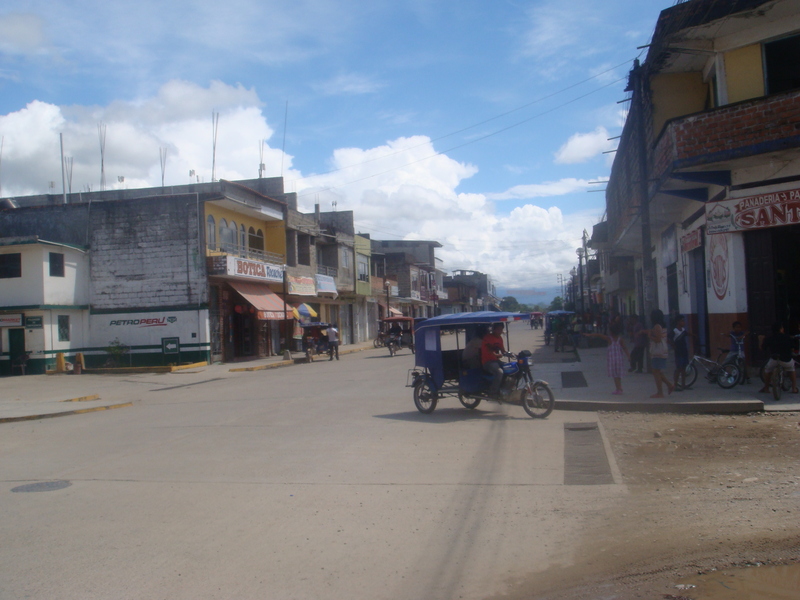 We have arrived to the town of Tocache, it is here that we will visit the consortium’s second cooperative; and where I will support Vilsic and Lourdes on a development project to support local female cacao farmers, “Las Mujeres Cacaoteras” to make their own chocolate. Tocache used to be one of Peru’s main strongholds for the cultivation of coca leaves, and as a result a particularly dangerous place to be. However, in the last 5 years, the government with the support of USAID and other international NGOs have introduced development projects to eradicate coca production and substitute it with an alternative crop. Cacao and coffee are the ideal crops to substitute coca as they grow in similar climatic conditions and at similar altitudes. More importantly they are profitable crops, therefore a worthy substitute to coca. 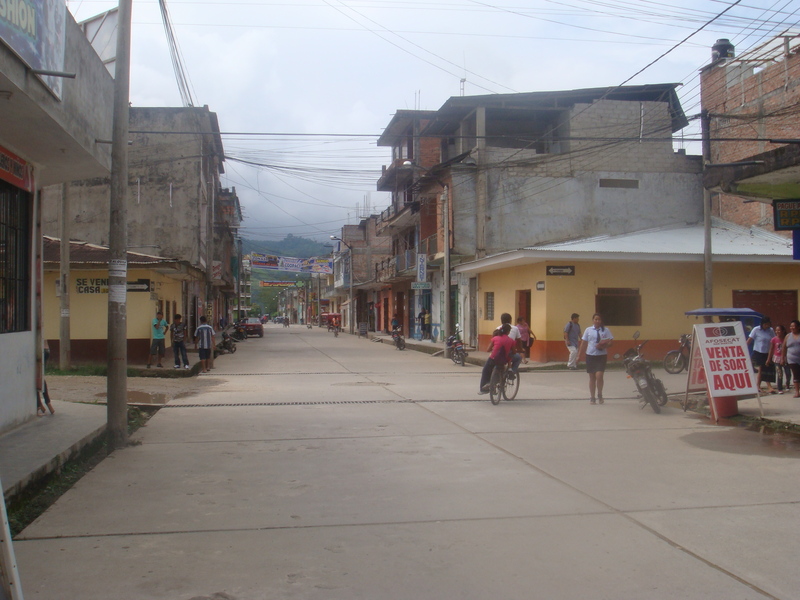 In the town of Tocache I see many depots where coffee and cacao producers who do not belong to a cooperative come to sell their beans. The beans sold to these depots then get sold on to other agents, which will eventually go in bulk to the export market. 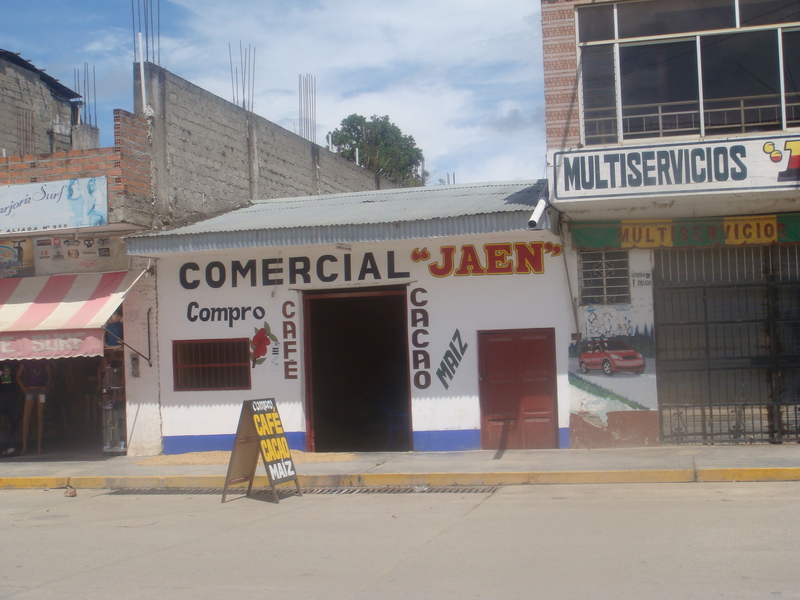 The risk of buying the beans from these depots is that you cannot guarantee the quality of the beans. 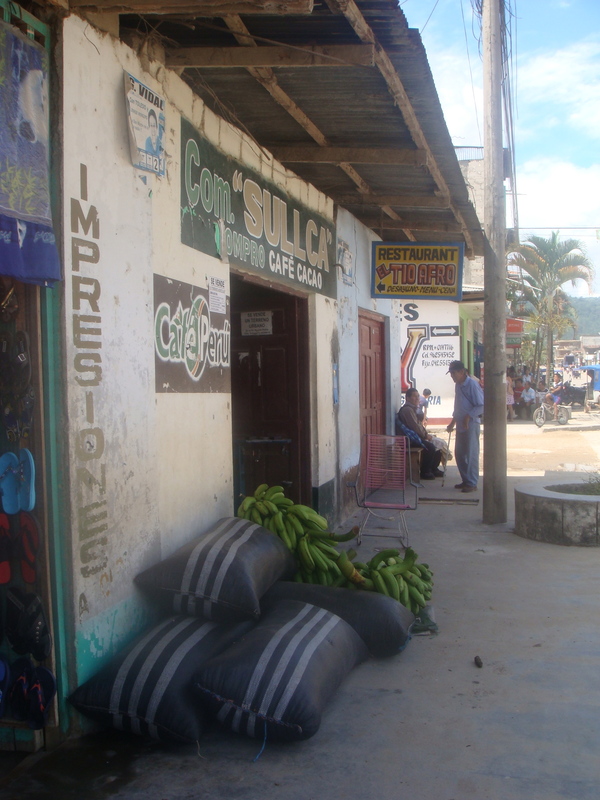 As I later find out as I visit the nearby cooperative, the harvest and post harvest processes and techniques are essential for the production of a high quality bean. ‹ Off to discover Peru’s best cacao plantations!